One of the easiest ways to increase your reputation online in your niche as a Virtual Assistant is to keep your website up and running with fresh content for your target market. Problem is most VAs don’t blog or send out informational newsletters because they dread writing or don’t have the time to write. A way around this problem is to invest in PLR and have the writing done for you. Private Label Rights (PLR) are those given to a buyer when they purchase ready-made content. This service does all of the research and writing for you. In turn, you get to put your name and stamp on it. Some people are leery of letting others create content for them, but remember – it is a business as well. They are building their reputation by providing you with quality content for a good price. Most PLR is very reasonable in price and typically you can get 10+ articles on various subjects for as little as $10. Remember, you save money when you outsource jobs that you need done. If you are not a writer, then establishing and maintaining your online presence with content will become difficult. Spending all day writing is not going to help your business grow if other management tasks are neglected like doing billable work for your clients. Also, if you like to write but don’t have the time, that too, presents a quandary. PLR provides a satisfactory answer to both. Did you know that PLR can help you make money as well as save you some? The secret is out! Many VAs now use PLR to leverage their service or product offerings. Content is still the most influential marketing strategy on the Web. Establishing yourself as an expert in your niche using PLR for consistent new blog posts or newsletter content will increase your reputation online and make you memorable. Memorable means potential clients will turn to you when they need to hire a VA. Plus it is well known that active websites with new content will help you rank higher in the search engines. The higher you are, the more chances you’ll be seen by your target market to land that next new client. People love visuals. Turn your PLR content into a script for an animated YouTube video that promotes your business products or services. You don’t have to come up with what to say because it’s right there. Just put your makeup on, aim the camera at you, smile and start reading the PLR content. As an affiliate marketer, good content will help drive your sales up. Use PLR to promote those products without a costly time investment. Many PLR companies offer product reviews together with information on where to sign up to the affiliate program. Just put the PLR review on your site, promote it and wait for the affiliate sales to come in. People love to learn. You can use your expertise to offer a web seminar to your target market. The PLR articles can help you create a PowerPoint presentation on a variety of topics relevant to a service based business. Some PLR companies even offer PowerPoint presentations complete with images and a script that you just add your logo to and present. Also, you could use PLR content to produce a workbook to accompany the class. Use PLR article content to craft podcasts on a variety of subjects relevant to your business niche or specialty area. Visitors can download them to their devices for listening on the go. Offer a free report or newsletter for signing up on your website. Those PLR articles you purchased can be combined for that purpose. 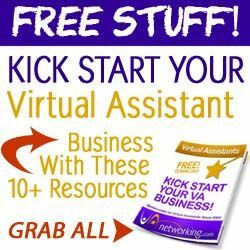 Some PLR companies even offer completed informational ebooks on topics from social media to ways to utilize the services of a VA that you just have to add your final personal touches to and giveaway! 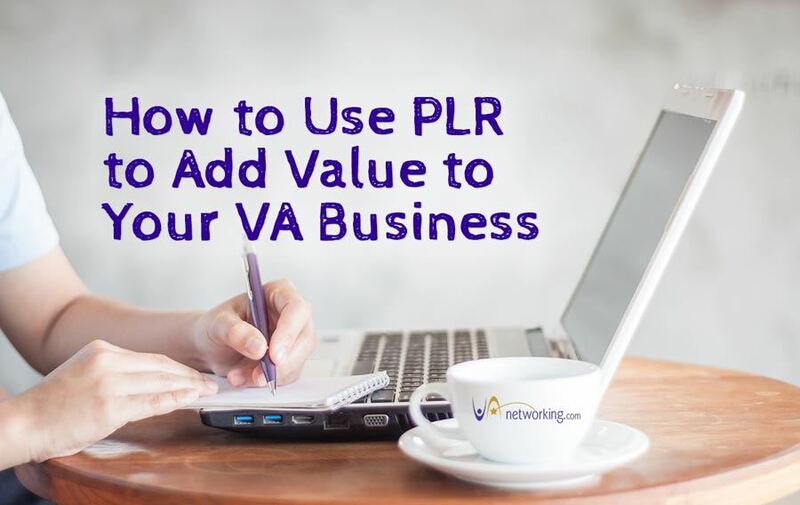 PLR has the potential to add value to your VA business, whether informational or not. You give your readers something they didn’t have before – useful knowledge. Want to start using PLR? Click here to see our favourite sources which provide you with quality PLR content that we recommend and use.